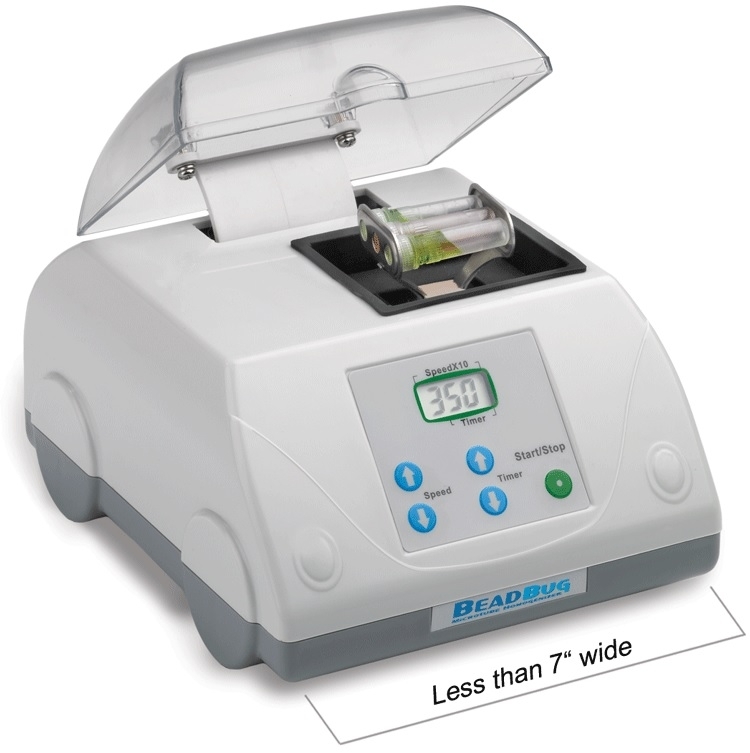 The BeadBugTM is a high energy bench top homogenizer that sets the performance standard for personal sized cell disruption and lysis instruments. Simultaneous homogenization of up to 3 samples takes place (often within 45 seconds) inside the disposable 2ml screw cap microtubes. The optimized mixing motion causes rapid cell disruption through constant high velocity impact from the hardened micro-beads chosen specifically for your sample type. Developed for samples too tough to be homogenized in a common lab vortexer, the BeadBug provides a convenient and economical alternative to the traditional, over-priced homogenizers on the market today. With an up to three tube capacity and a footprint of just 7 x 8", the BeadBug is the ideal homogenizing instrument for low to medium throughput laboratories.